Measures: Cast Iron Table Top Horseshoe / Horse. Great paperweight, bookend or to place on a mantle or table. 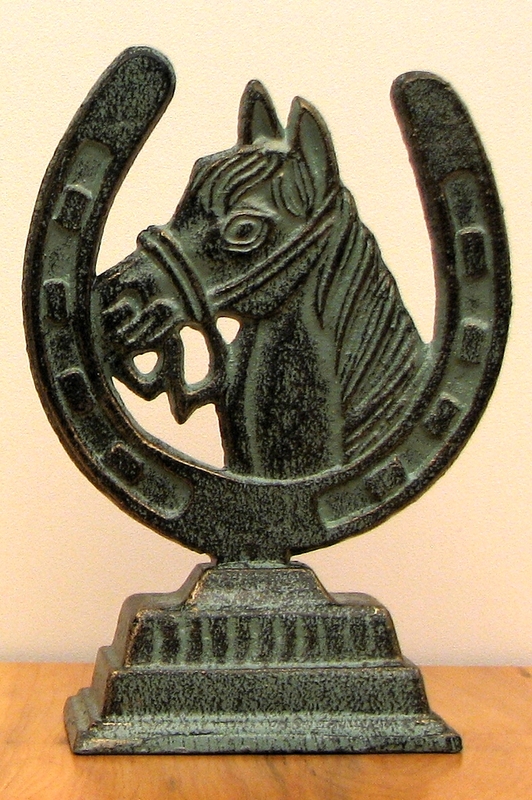 Verdigris color and unique item for an office or home. Measures: 6 1/2" H x 4 1/2" W x 2 1/4" D.